The Mobile Native: So, You Want An App? 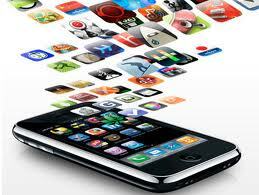 Here are some sites that provide a wide variety of resources on apps. Tony Vincent provides great ways to evaluate educational apps. This is a great list. You may also like our iPad As.. page that presents apps organized by learning objectives http://edtechteacher.org/ipads. We currently have 17 objectives with more on the way. It is easy to get excited about the idea of making digital tickets maker online money by creating your own mobile app.